Take a visit to the world famous Dunns River Falls. Dunns River Falls is one of Jamaica’s National treasures. At Dunns River Falls you can climb the falls or just wonder at this amazing 600ft cascading waterfalls that flows into the Caribbean sea. 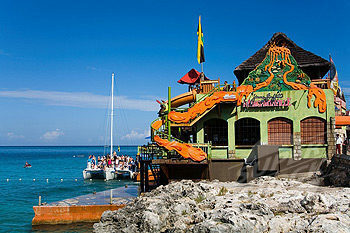 Have a stop for lunch and shopping around the town of Ocho Rios. This tours tour departs in the morning around 8am and returns when you are ready to end your trip.